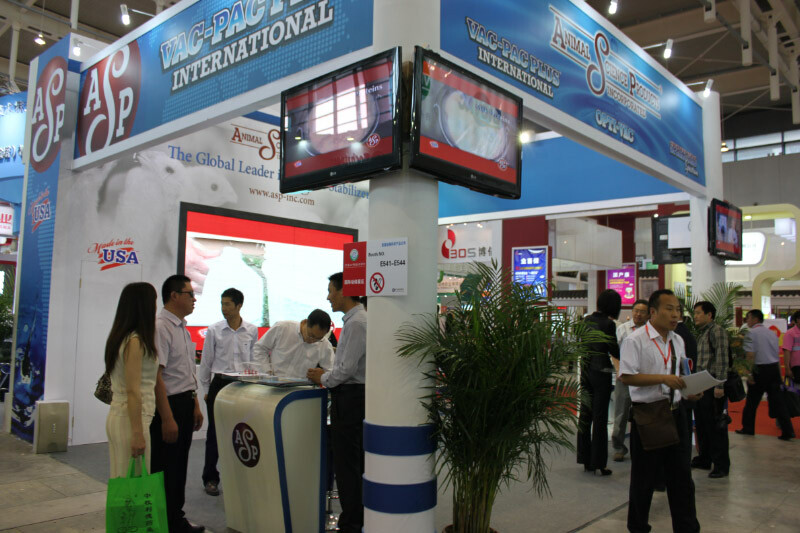 The 2012 China Animal Husbandry Expo took place in Nanjing, China on May 18th through the 20th. 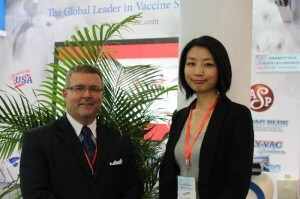 The expo was held at the Nanjing International ExpoCentre where Animal Science Products presented its innovative Family of Vaccine Stabilizers to members of the growing Chinese poultry industry. 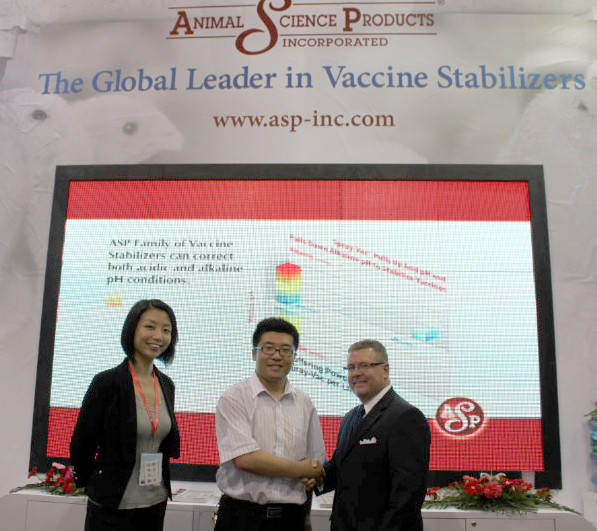 At the expo, ASP featured its newest vaccine protection product – Spray-Vac® Spectrum. Spray-Vac® Spectrum is specially designed to mark the birds with a unique blend of colors that reflect in a wide array of light frequencies. This spectrum of color stimulates an increase in the preening activity during the spray vaccination process. Field studies have shown that increased preening elevates vaccine uptake and improves overall immunization success. 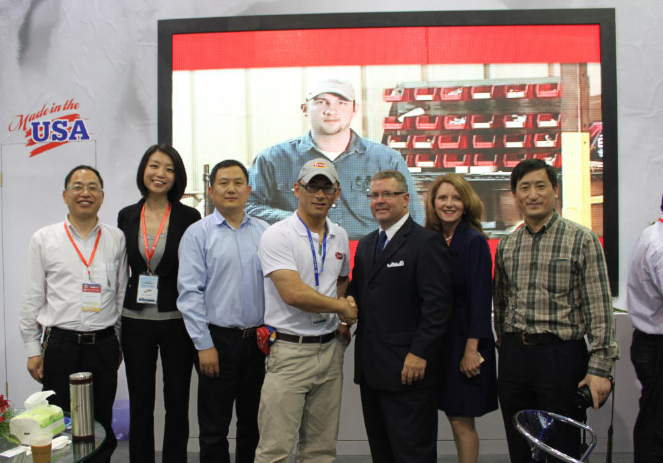 The expo provides insight into the advancements being made in the Chinese poultry industry. Such advancements have made way for ASP to contribute to the country’s overall food safety. While in China, ASP team members visited with many of their existing customers, as well as with several potential new customers. 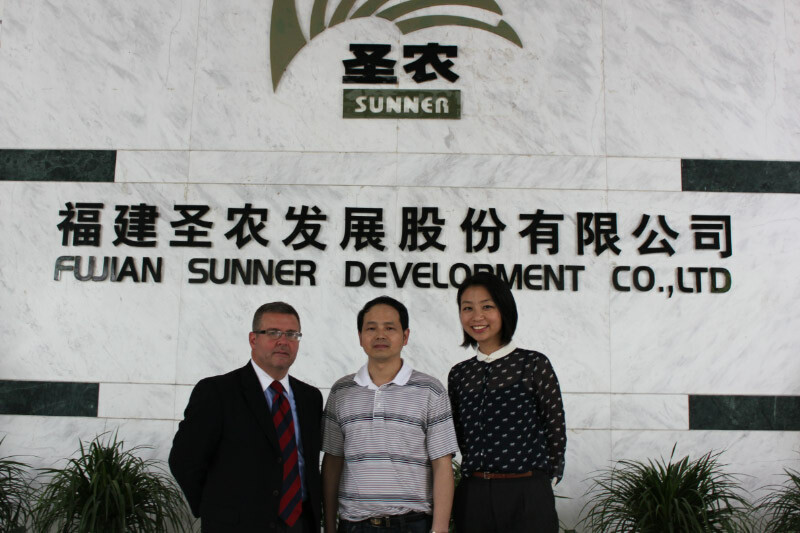 Animal Science Products was represented by Bailey Reynolds, CEO, and Yuxin Shao, Sales & Marketing Representative China. Joining them was Richard Xia, President and General Manager of Shanghai Balantek Biotechnology Co., Ltd., as well as Mr. Huang, Poultry Technical Service – also of Balantek. As always, Animal Science Products would like to thank the coordinators of the CAHE event, as well as the Chinese people for their hospitality.